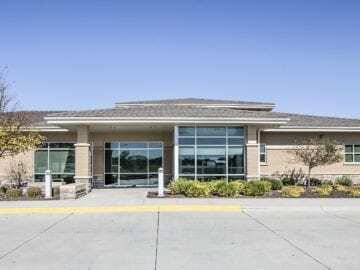 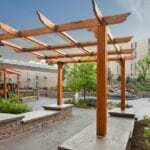 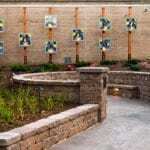 Schemmer designed the 6,500 SF garden, completed in 2011. 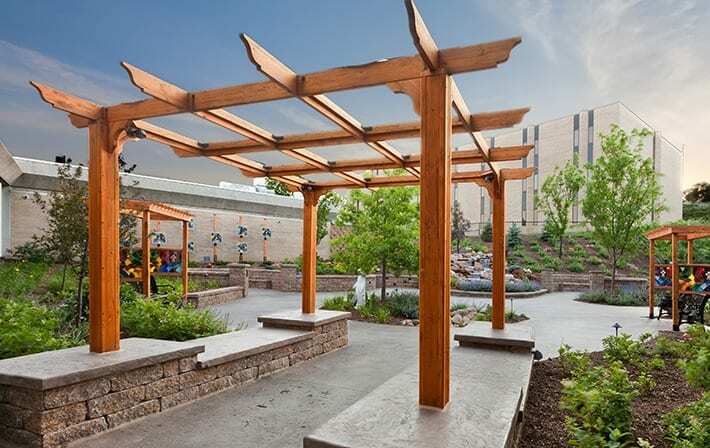 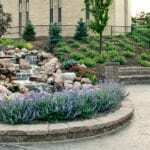 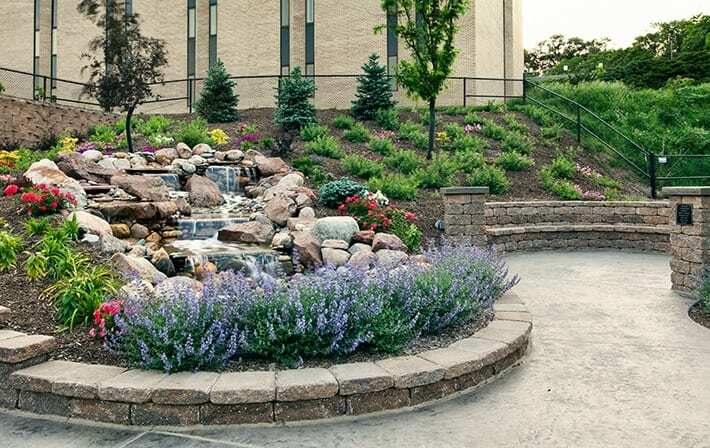 Schemmer worked with the Alegent Creighton management staff and the vision of the former nursing director for Mercy Hospital’s intensive care unit (ICU), who passed away in 2008, to make this garden a reality. 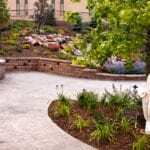 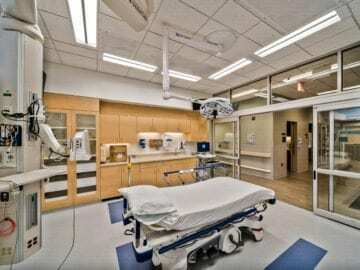 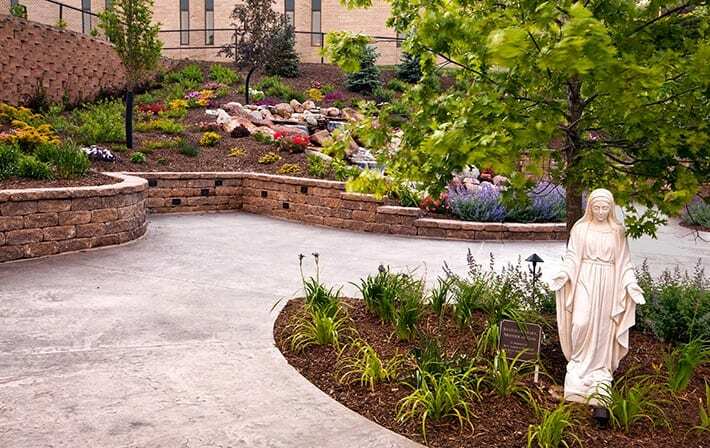 Funded by private donations from the community, including the Mercy employees, the $200,000 healing garden is located near the hospital’s ICU and chapel. 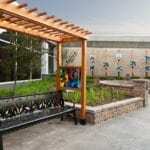 The whole garden reflects a community effort. 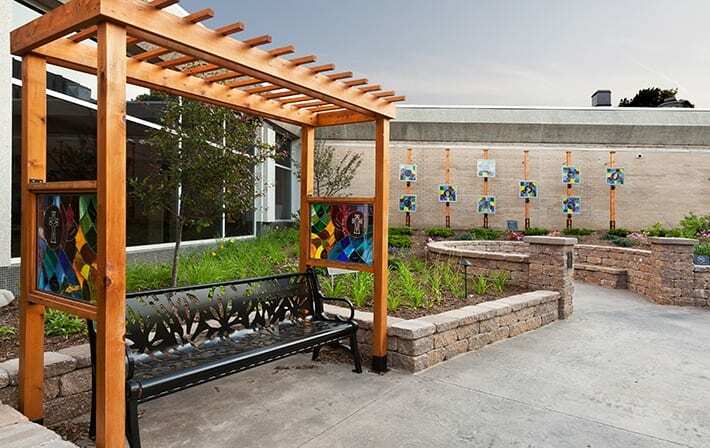 Trees, benches and even the stained glass were made possible through generous gifts from community members and hospital staff. 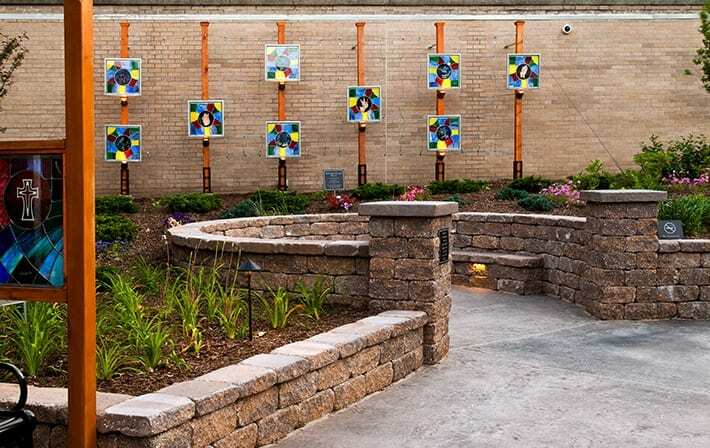 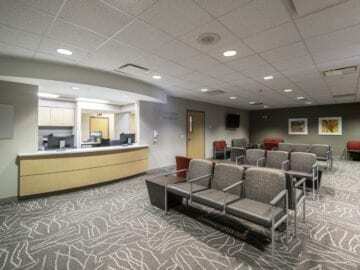 Local artists and craftsmen played a significant role in creating custom pieces for the healing landscape.